I love the look of this kitchen. I think I am drawn to the colors, the crisp whites. 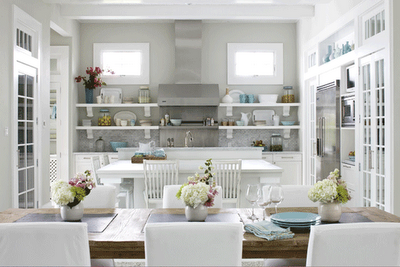 Our kitchen does not look like this, but little changes can make a difference . 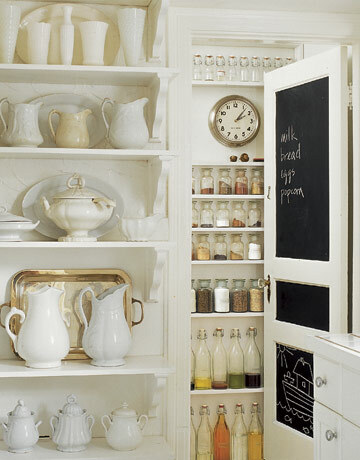 . .
And I love these pantries where everything is pretty and functional. 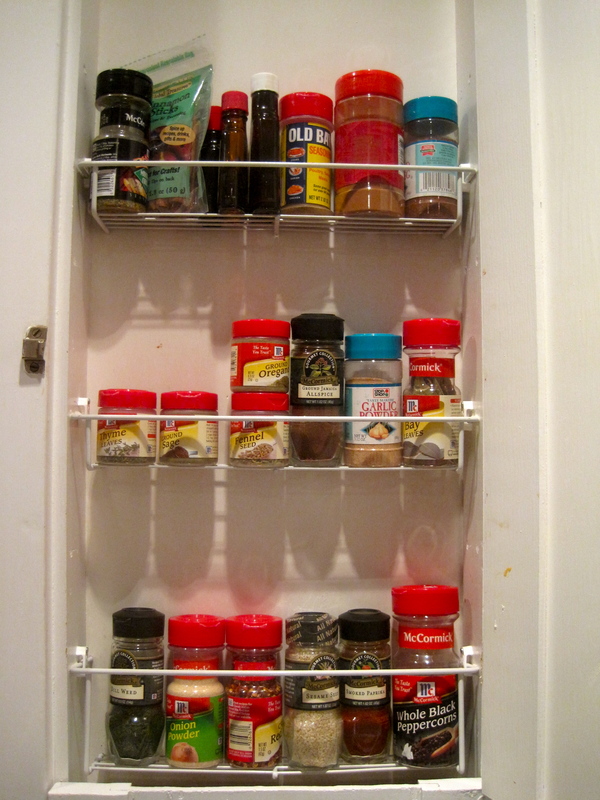 If you used something from one of these pantries you would know just where to put it back. 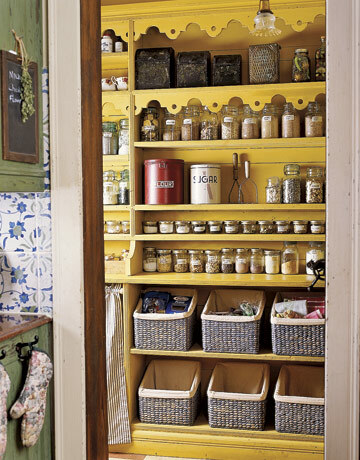 Starting with a pantry might be a good way to kick off getting more organized. We don’t have a pantry in our new home, so we started even smaller on our organization. 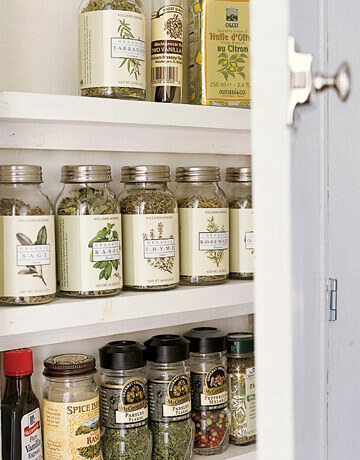 We began by organizing our spice cabinet (inspired by my Godmother, Connie who sent us matching fresh spices). More practical, less cluttered . . . and prettier. Andrew and I always say “little by little” (a saying inspired by a camp song). 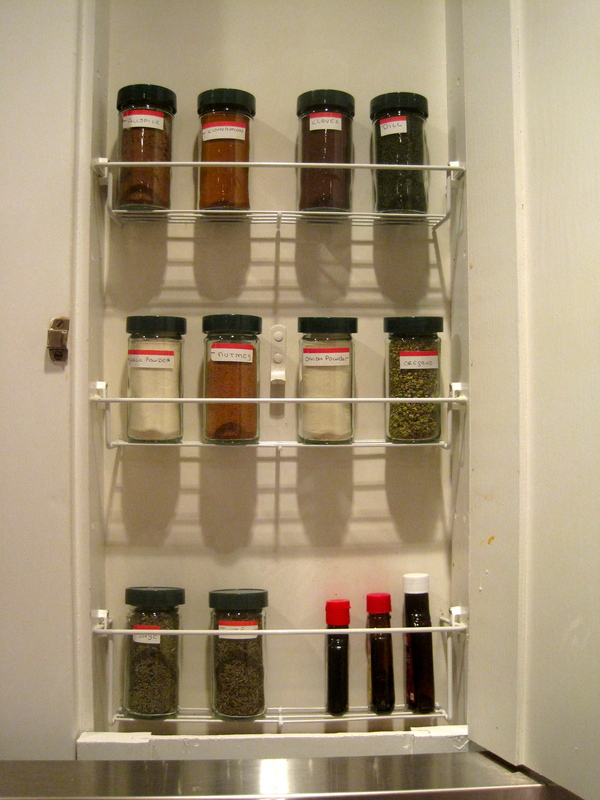 A little change leads to bigger changes, we started with a spice cabinet.